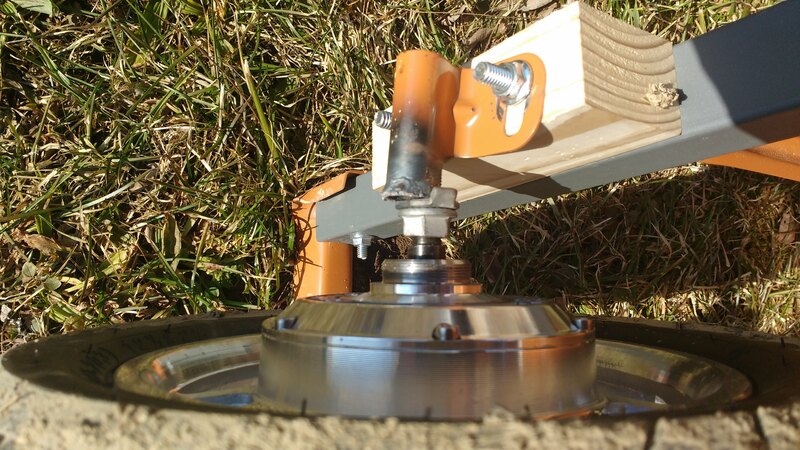 Last year I took a 3000W Cyclone mid drive ebike motor and mounted it on a wheelbarrow to make a high power machine that could easily move 500 lbs around the yard for about $450. 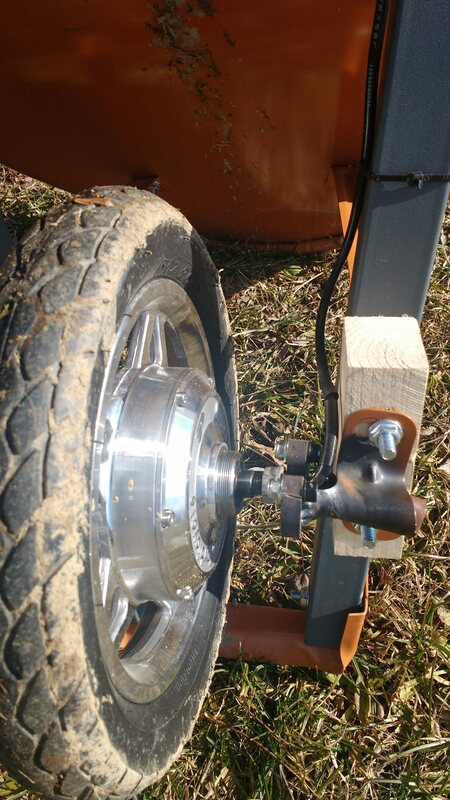 I decided that it was pretty heavy and complicated and mused as to whether I could build a lighter duty wheelbarrow that was about 1/2 the price, 8 lbs lighter and that would use a geared hub motor for a lower power ebike. A few months later and some finagling and I finally got it built. Feel the power of a wheelbarrow that even your grandmother would love. My wheelbarrow goes as fast as I can run with it, has a 56v peak (52v nominal) Ego battery that drives it and weighs about 30 lbs. I feel perfectly safe running it with 200lbs of load, although more than that might end up destroying the hollow steel axle. 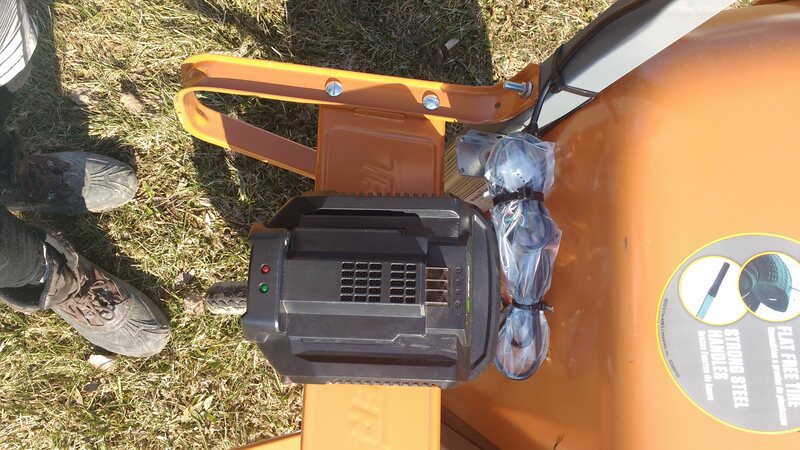 The geared hub wheelbarrow is a 5:1 reduction but the 3000W Cyclone has a much larger reduction as it is 5:1 with the gearing system inside the motor and then an additional reduction of about 8:1 from the large gear and the chain. So if I had to buy all the parts I’d be looking at $286 total. It took me about 4 hours to build this machine and get it working right. 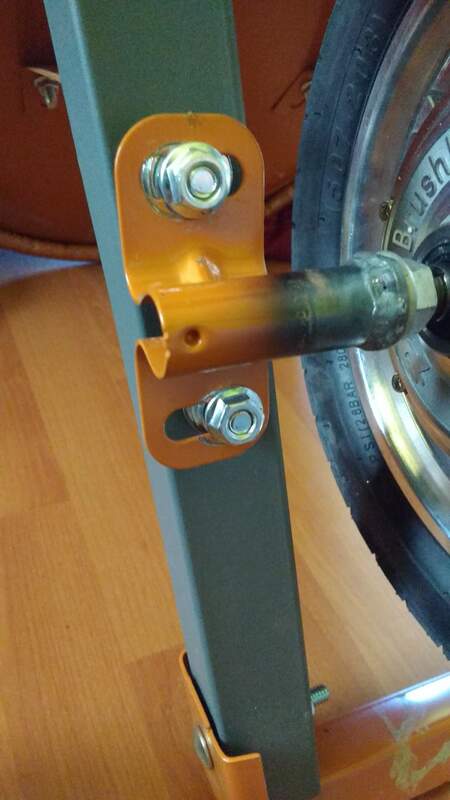 You will need access to a welder to mount the torque arms to the axle mounts. If I was doing this build again I would probably get a controller & throttle that matched up with the motor as getting this all put together was the biggest pain. 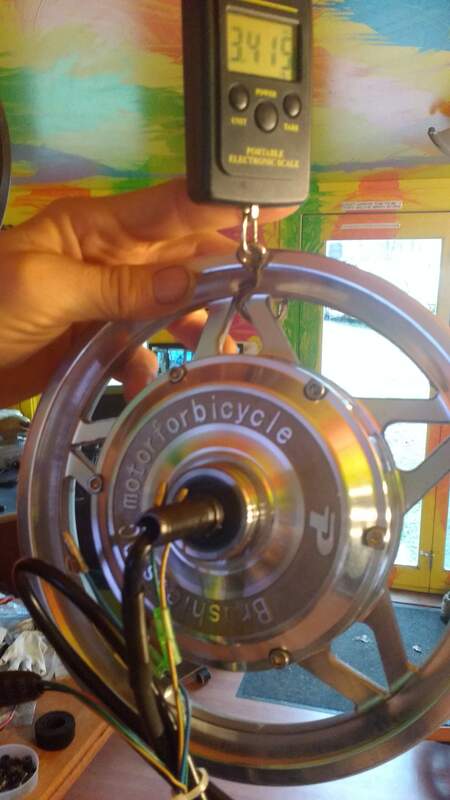 What you are looking for is any ebike motor that is geared and has a very low top speed (<15mph). 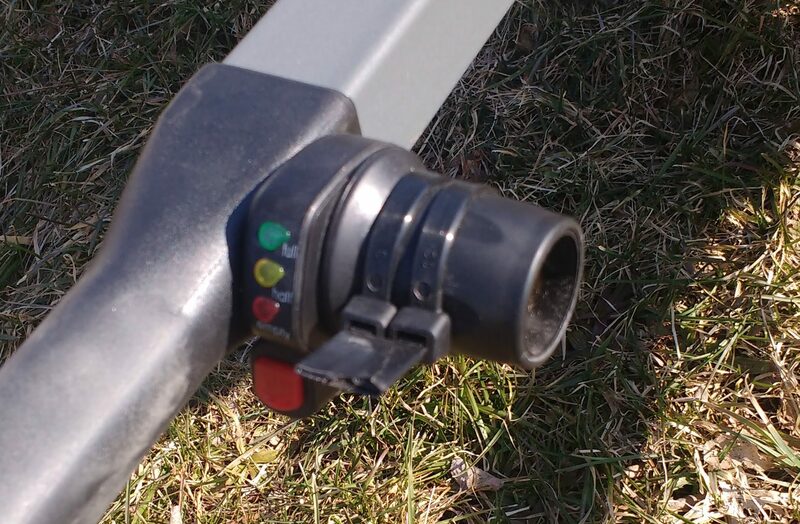 Look for a low turn count (6T or lower is best) which will give you the most torque. Smaller wheels in this application are better, as they will go a shorter distance for every revolution. Don’t get a DD motor, they don’t have enough torque to get really heavy loads moving without overheating quickly. To wire the controller to the battery charging unit you just have to take the charger apart and then solder some wires directly to the + and – connectors on the inside of the charger. 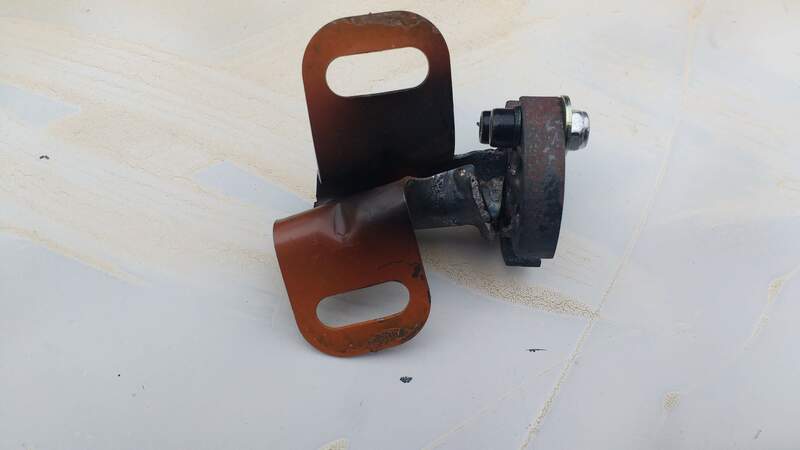 Then you screw the charger base to the wheelbarrow making sure the screw holes to put it back together are exposed then you screw the charger back together. If you are careful about it you can still use the battery charger as a charger (I never do) but if you’re worried about problems just cut the wires and remove all the circuit boards inside the charger. That might be the safest course of action for beginning DIY people. 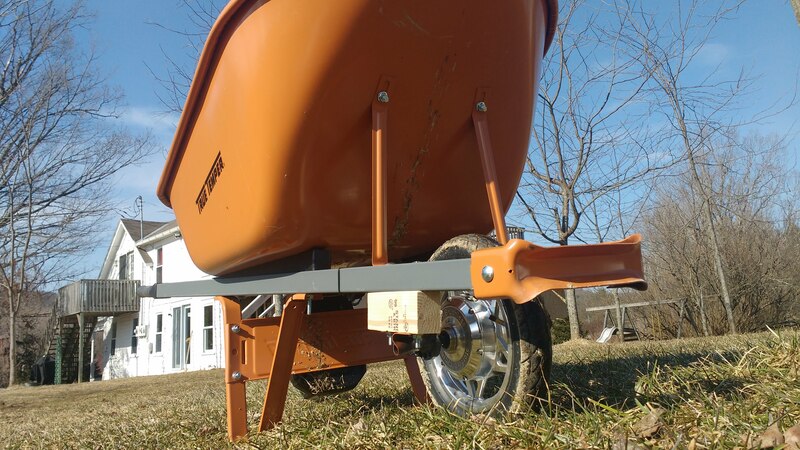 The wheelbarrow runs better with lower tire pressure, as you won’t get hung up with every little rock and bump. I pulled the flat free front off and used it on another wheelbarrow so that saved me about $20 on this build. Don’t cheap out on the donor wheelbarrow, get something with steel arms, it’s going to last many years. My first heavy use of the wheelbarrow ripped apart both torque arms so I rewelded them much better for the 2nd time. 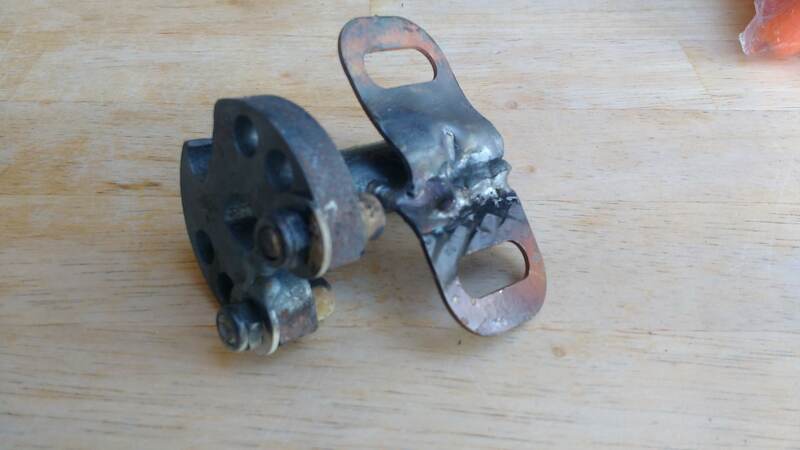 It’s important to use lots of rod and to really get the metal hot so that it completely forms into one piece. You also don’t have to do this build with the Ego battery pack, any lithium battery pack will work with this build as long as the voltage range of the battery matches your controller. Most controllers do a large range of support. For example, the controller I used in this build will work with anything from about 30v up to about 60v. Alibaba and Aliexpress is a great way to buy cheap Chinese crap and have it shipped to the US without paying massive tariffs. I bought the 48v 350W version of the hub motor although I am running 17Amps x 56v nominal which is 952 Watts peak. As long as you’re not doing this continuously you can get away with it. This hub motor had pretty wimpy phase wires so I wouldn’t run it with any controller that put out more than 17 Amps. In the end, I ended up getting what I wanted for the price I wanted to pay (<$300). It was a fun time building this wheelbarrow out of spare parts I had lying around and it works very well at moving around loads of woodchip mulch which seems to be my primary wheelbarrow task on my tree farm. 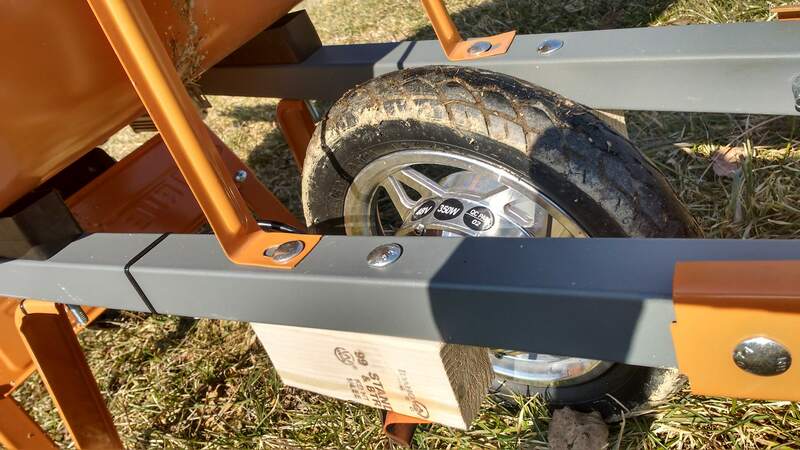 I still use the 3000W Cyclone monster wheelbarrow when moving dirt and rocks, but the geared hub barrow is almost 10 lbs lighter and it doesn’t have a chain to deal with. Building stuff is fun and sometimes you just have to build out these crazy ideas you get in your head. In 5 years, electric wheelbarrows and garden carts will be EVERYWHERE but right now if you want one, you have to make it yourself. 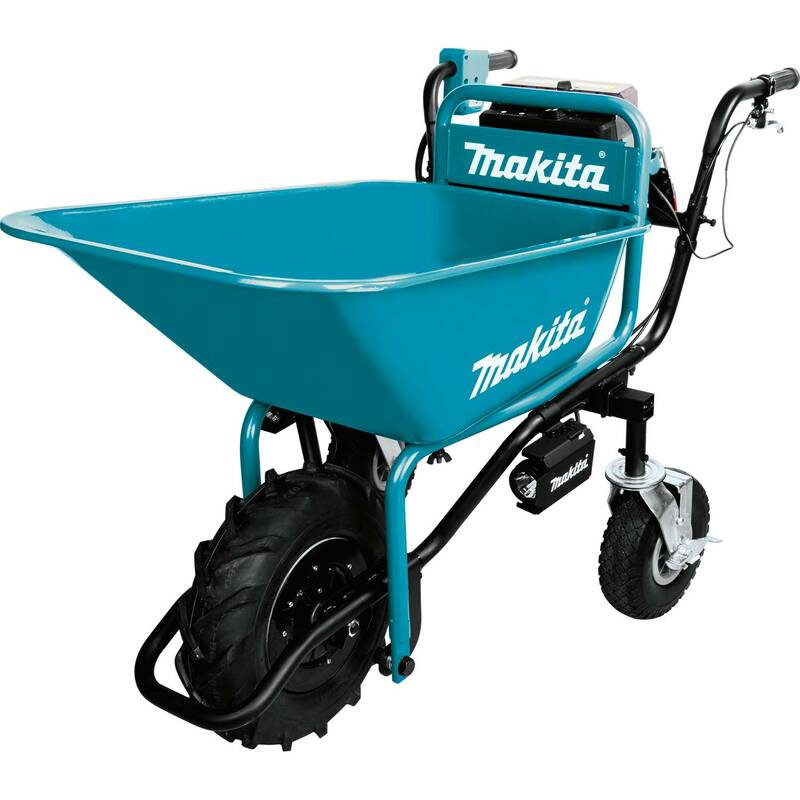 I like the makita, it has wheels at the back. Tie a few of those together and try some charriot racing? How about an electric picnic table. Eat dinner while driving around the neighborhood. Electric recliner for when you get done with dinner.